One of our primary activities relates to ongoing stewardship responsibilities. Members of the board conduct annual field reviews of our properties and easements to insure that their existing condition is found to be consistent with the donors wishes and expectations. 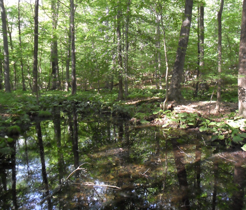 The Land Conservancy is a member of the Land Trust Alliance, the national organization of land trusts, and the Connecticut Land Conservation Council. The Land Conservancy is a member of a network of less than 400 accredited land trusts across the nation that have demonstrated a commitment to professional excellence, to maintaining the public’s trust in our work and to permanent land conservation in our town. The Land Conservancy collaborates with the Ridgefield conservation commission, a separate town government organization, to grow and protect open space in Ridgefield. Please click here “More About Us” for more information about our vision and mission. Land Conservancy of Ridgefield, Inc.